What determines the taste of dark beer is black malt. Our new Stout uses high-quality black malt from WEYERMANN, a German black malt maker founded in 1876 with a history of 135 years. People with their own unique color and style are reluctant to be compared with others and like to be different when choosing beer. Stout’s modern black-colored package makes a special spot stand out more. Enjoying Stout itself is great. But making various kinds of dark beer cocktails catered to your tastes offers a different kind of delight and pleasure. Do you find rich flavor and aroma of imported dark beer too bitter and too much? 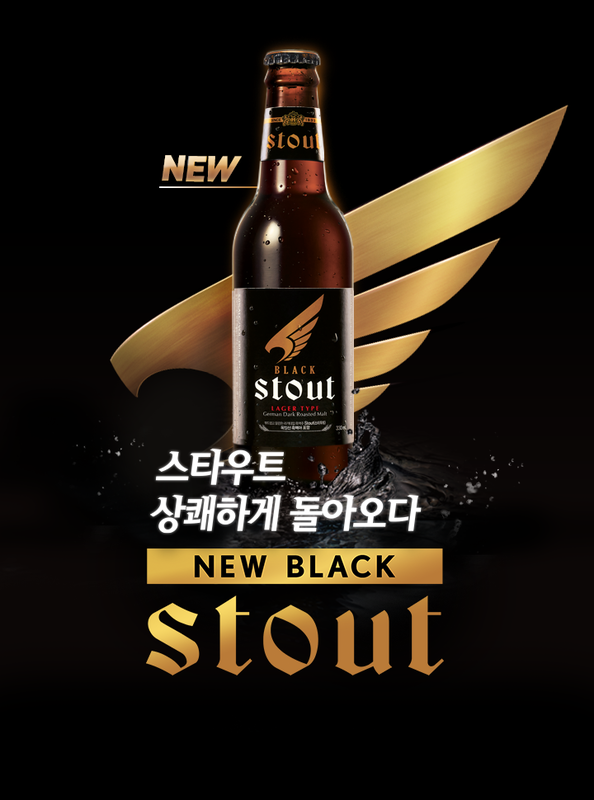 Stout is a lager-type dark beer made from German high-quality black malt. Stout features a deep flavor, dark color and rich bubbles. The crisp and refreshing taste of this premium beer reduces the resistance to the beer itself and offers a satisfying taste. Lager refers to “Bottom-Fermented Beer” which is made from “Bottom-Fermented Yeast” that sank under the fermenter. The word was derived from the German word for “Storage”. Lager is made by storing for a long time at a lower temperature than Ale, the top-fermented beer. Unlike ale-type dark beer with a deep taste and aroma, lager-type dark beer features a crisp and refreshing taste thanks to the small amount of sediments. Ales, which use yeast that float above fermenters, feature fragrant, rich and deep flavors.